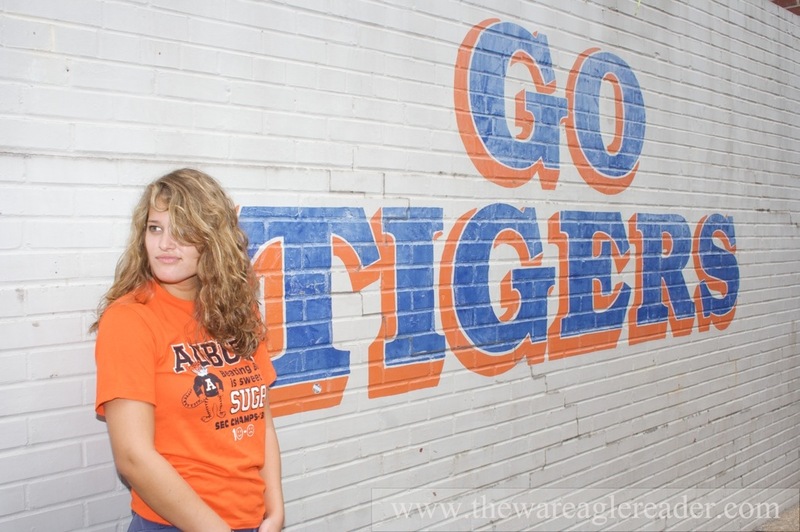 Alice Fraasa: Auburn senior, internet phenomenon. Beating Bama is sweet as sugar. 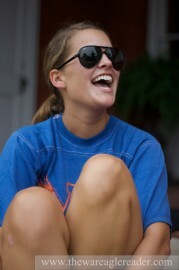 Alice Fraasa, 21, the most recognizable girl at Auburn University, missed the first football game of her senior year. She wasn’t in town Saturday. She was in Seattle at a video game convention getting paid to be herself. She grinned and talked and played “Halo 3” and performed other duties corresponding to her public persona while occasionally demonstrating the benefits of the A40 professional gaming headset and posing for photos with teenage nerds who know nothing about Auburn, but a lot about her. Alice Fraasa is the SnorgTees Girl. And the SnorgTees Girl is kind of a big deal. Which is why, as I sat on the steps of Samford Hall with a bag full of vintage Auburn T-shirts I hoped she’d be willing to pose in, I was so happy to see her round the corner in flip-flops and sunglasses, carrying one of the “Twilight” books, and already wearing one. I was even happier that she knew why I was happy. Frassa, the face (and body) of SnorgTee’s brand of mainstream hipster chic knows that dudes—students, alumni, fans—like imagining their school as home of the best. The best football. The cutest coeds. She therefore understands that certain people who know and care about her Auburn connection, like the dudes that asked for a photo with her when she worked at Brick Oven Pizza last year, or the commenter on the popular Auburn football blog The Auburner who suggested Fraasa as the site’s new mascot, might view her, a ‘Net-famous banner ad beauty, as a source of pride—a MOAB in the battle for Hottest List dominance or something. She understands all that. It just doesn’t make any sense. Dr. David Sutton can’t put his finger on it either. But he knows it’s there. 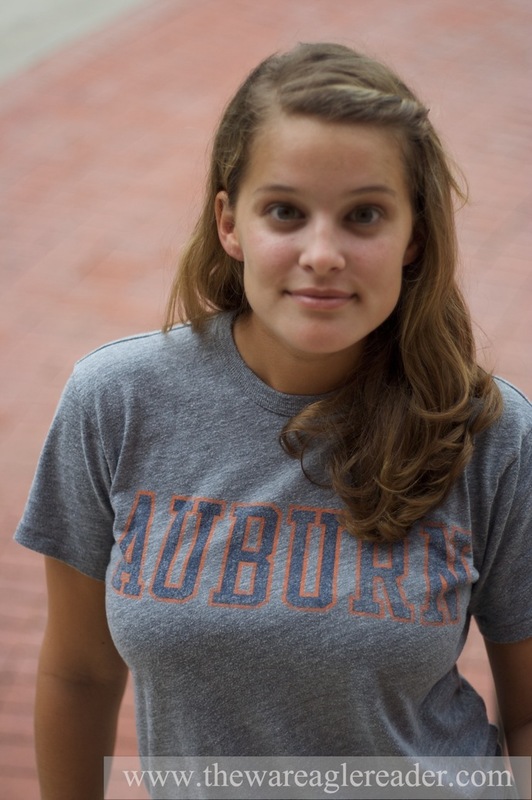 “She’s a hoot,” says Sutton, a professor — Fraasa’s favorite — in Auburn’s Department of Journalism and Communications. “That sounds a bit old-fashioned, but I think the word fits her. It’s weird enough already. She has fan clubs and Facebook Groups. She has bizarre YouTube tribute videos. So frequently was she referenced in the comments on Wonkette, the popular D.C. gossip blog once threatened (only half-jokingly) to ban users who included the term “Snorg Girl” in their posts. “She told that class that it freaks her out to see pictures of herself on the web,” Sutton says. SnorgTees Girl furrows her brow, nods her head. She might be on to something. Because what other than natural beauty combined with an utter lack of self-awareness could explain the inclusion of your average, down-to-earth, tomboyish, babysitting, Auburn communications major in a celebrity gossip site’s list of the “100 Hottest Women of 2009,” a list featuring Sports Illustrated swimsuit models and Lohans and Kardashians and Angelina Jolies all bedroom-eyeing the camera in lingerie and thongs and wet T-shirts and birthday suits. And there, somehow, at No. 99, innocently sandwiched between a naked Eva Mendez in cowboy boots and a leather corseted Christina Ricci, is a picture of “Alice, The Snorg Tees Girl” sitting on a bench in jeans and a (dry) SnorgTees “I Love Lamp” Anchorman T-shirt, and, you know, holding a lamp. It’s practically prudish. That the photos of Fraasa used by the company are the point-and-click results of Walls and Co. simply goofing off with their friend’s cute kid sister–she started modeling for them at 17–embodies the spellbinding amateurism that seems to anchor the Snorg Tees Girl phenomenon. So, too, that Fraasa is compensated only in keeping the shirts she poses in. She is not a professional. She weighs more than 100 pounds. She likes Auburn football. She likes Harry Potter. She likes the Braves. She likes food. She poses for pictures in T-shirts for her friends because she likes T-shirts and because they’re her friends. More than 200 free T-shirts to choose from and she walks around the corner in this. Would she like to parlay the popularity into bigger gigs after graduation? The Snorg Tees Girl’s low-key, go-with-the-flow approach, and that she has yet to pursue publicists or agents or reality shows despite all the attention, is a recurring angle in the interviews that keep the attention coming. And there have been plenty of interviews — from blogs to alt-weeklies to a 2008 Associated Press story that ran in USA Today, the Chicago Tribune and the Tuscaloosa News. You can hear the gratitude in Matt Walls’ voice. “We just kind of lucked out growing up down the street from her,” he says. “She really is the girl next door. To me, it’s like the girl every guy fancies themselves meeting and dating.” And, of course, getting to model for their once fledgling T-shirt company, which, according to a recent story in U.S. News and World Report, now sells $5 to 10 million of merchandise. The company’s best-selling shirt? “I’m Kind of a Big Deal.” The model? Alice Fraasa. In April 2008, just four years after Walls started the company in his parents basement, Snorg Tees trailed only American Apparel and UnderArmour in terms of Internet advertising presence among apparel retailers. Their 249 million ad displays beat out companies like Levi Straus, Nike and competitors Busted Tees. Of that number, Walls said nearly half still featured Fraasa, despite the company’s now regular use of professional models. Neither would have the vintage 1987 Iron Bowl T-shirt she posed in for us against the War Eagle wall by J&M Bookstore a week before Auburn’s season opener against Louisiana Tech. The man — gray hair, mustache, nice car — parked right in front of her on College Street, got out, and you could see it in his eyes and hear it in his voice: He was an Auburn man in Auburn, and wow, War Eagle–he couldn’t help himself. Alice smiled her 100-yard, million-click smile and laughed for him as he walked away mmm, mmm, mmm’ing to himself, and then rolled her big eyes. But she understands… Glory, Glory to ol’ Auburn and all that. 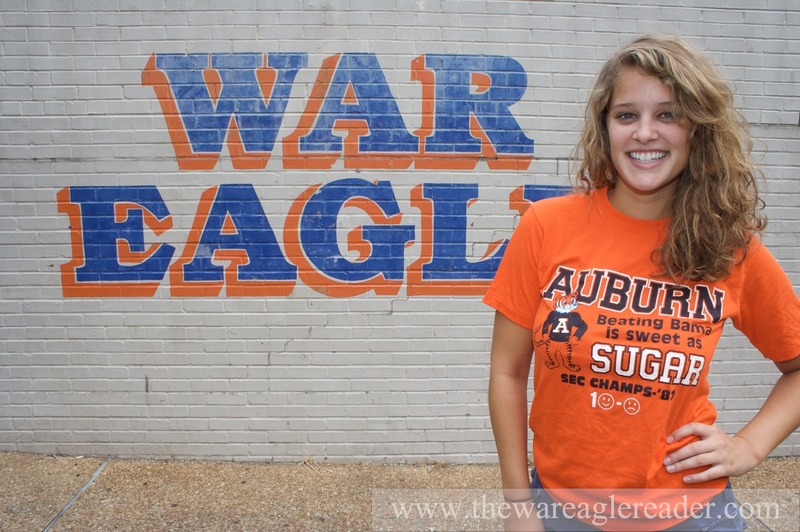 Go here for TWER’s Auburn-themed Q&A with Alice… and for more photos, go here. And here. And here. And here. And here. And here. And here. And here. And see her graduate here. I’ll give her this, she looks like a t-total badass in those raybans! Good article guys. Great article and beautiful girl. Alice will you marry me? i freaking love alice. she’s an absolute doll. Haha!! this is so weird to read an article about her…. Alice is an awesome girl and i miss her dearly!!! !